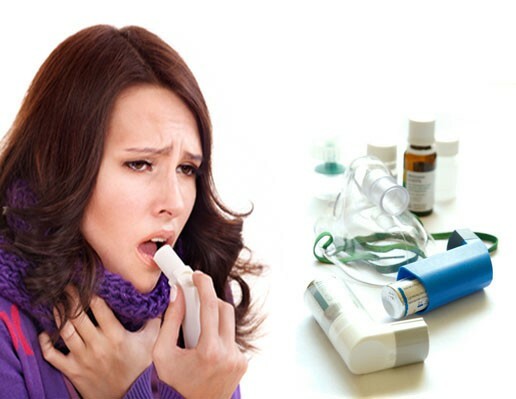 Asthma is a lung condition that causes difficulty breathing. It could sometimes be caused by people who tend to smoke often, or people with allergies. To other people, it could just come naturally. People with certain types of allergies are most likely to have asthma. People who are overweight are most likely to get asthma. Teens with asthma may have a parent or a close relative who has asthma or had it in their childhood. Doctors treat each asthma case differently depending on if the case is serious or mild. 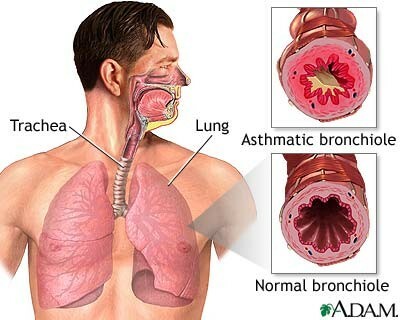 If you have asthma, you should stay away from people that smoke. Or, if you do smoke then you should quit because it will only make matters worse. 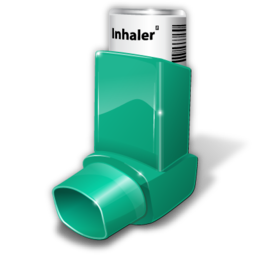 Before and after you exercise or do any physical activity, you should use your inhaler or, take any medicine that the doctor told you to use. Limit physical activity so it doesn't cause any asthma flare-ups. Between flare-ups, breathing can seem completely normal, although some people may cough or feel as if they are always short of breath. Use all you're medication you're doctor tells you, and use you're inhaler. Be smart about exercising. Sometimes, when you exercise too much, it can trigger an asthma attack. Don't be in an environment where people are smoking. Pay attention to the weather outside. Limit your time outside or any physical activity involved when you known the weather or air pollution may affect you. Know what to do when you are about too get an asthma flare-up. "Asthma." KidsHealth - the Web's Most Visited Site about Children's Health. Ed. Joseph. The Nemours Foundation, 01 Jan. 2014. Web. 13 Mar. 2015. Cramer, David; Costello Angela, Douglas; Odle Teresa Dupler, David; Odle Teresa Cramer, John L. Stauffer, Stephen C. Redd, "Asthma." UXL Encyclopedia of Science. 2002, The Columbia Encyclopedia, 6th Ed.. 2014, A Dictionary of Nursing. 2008, UXL Complete Health Resource.